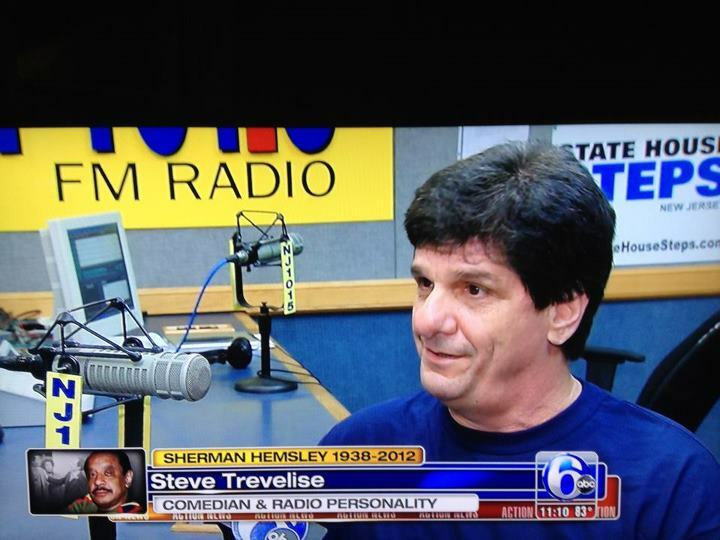 In my 30 years of radio, I’ve held every job from playing the hits on WPST Trenton, to rock on WYSP Philadelphia, then News Director doing updates on The Howard Stern Show, followed by Program Director and announcer for Shadow Traffic in Philadelphia, Sports talk host on 94 WIP in Philadelphia, and now adding Jersey talk on New Jersey 101.5. In my spare time I perform standup comedy all over New Jersey. 1. Why did you go into radio? How did you get your start? I grew up listening to Imus in the Morning and loved the idea of playing music and telling jokes for a living. 2. You do sports talk and you’ve hosted music station morning shows, but now you’re doing general-interest talk on New Jersey 101.5. What has the experience been like so far, and what are the differences, if any, in how you approach hosting on 101.5 as opposed to, say, WIP or any of the morning shows or rock shows you did? New Jersey 101.5 moves at a faster pace than Sports talk. The topics completely change every day, whereas in sports, the problems of the team stay pretty much the same. I could talk about whether Cole Hamels will be traded for weeks. The challenge is in the twist you put on it. My experience with music radio has been all about the music, and your job is to get the listener there as quickly as possible in an entertaining but not really controversial way. 3. You’ve maintained a comedy career for years, performing and running comedy clubs. How much has the experience doing standup affected how you do your radio shows, or vice versa? Are they totally different disciplines or do you find that performing on stage gives you perspective for when you’re behind the mic? Comedy has taught me to find the funny in the topic and exploit that. Since my stage humor is basically topical monologue, there’s a real synergy between the two. You have to be careful, though, not to let the comedy compromise your credibility. 4. While we’re on the comedy topic, if you have to pick one for all time, who’s your very favorite standup and why? Bill Hicks as a comic voice and Richard Jeni for everything else. 5. Who have been your mentors, influences, and/or heroes in the radio business? I’ve been lucky enough to work with some of the best people in the business. I’m a student of the game of radio and learned from, in chronological order, Tom Taylor at WPST; Steve (Steveski) Sutton at WYSP, who took me under his wing and taught me how to be a Philadelphia radio personality in every sense of the word; and Tim Sabean at WYSP, who gave me an understanding of the business side of radio that I continue to draw from. I’ve been fortunate to do two tours with Andy Bloom, one at WYSP and now at WIP. Both Andy and Kurt Johnson, who I worked with at Alice and now at New Jersey 101.5, not only understand and nurture radio personalities but create an atmosphere where they can flourish, as does my current Program Director, Eric Johnson. As for influence, I’d go Howard Stern. I got to not only listen to that show for ten years but study it. It’s not about the shock, it’s about the honesty. I’m most proud of my wife Deneen, who survived breast cancer, and my 5 year old twin sons Lennon and Albert. Professionally, I’m most proud of getting the job at New Jersey 101.5 after spending 10 years honing my skills, and, of course, my time at WYSP. 7. What’s your process — how do you prepare for the show? What resources do you use? I’m a television junkie, love concerts, and, of course, comedy shows. 9. Fill in the blank: I can’t make it through the day without _______________. 10. What’s the best advice you’ve ever gotten? The worst? The worst piece of advice: “If you’re going to work on WIP, you can’t let anyone know that you’re a Giants fan.” THEY know who they are.